Cosmetic dentistry may largely deal with the appearances of teeth, but it's also responsible for creating real health benefits, including restoring your sense of confidence. 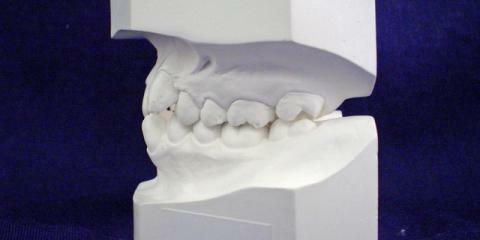 Here to discuss this further is Dr. Bauer, the premier general and cosmetic dentist at Alaska Dental Arts North Pole. Alleviates Discomfort: Dental problems can be caused by accidents, injuries, or hereditary traits. When these problems change the shape of a person's face, affecting the way they chew or even breath, dental implants can improve their quality of life by allowing them to chew better, and to feel less oral discomfort. Helps Teeth Last Longer: Not everyone has received the dental care they deserved growing up, which can significantly decrease their teeth's longevity. For those patients who didn't get the best preventative care, or who otherwise need a second chance, Alaska Dental Arts North Pole offers dental crowns and veneers. Crowns restore teeth to their original shape and size, and give stability to other teeth, while veneers cover up smaller cracks or imperfections. Improves Morale: When you feel more confident about your smile, you'll feel the benefits throughout other parts of your life. Situations like job interviews, first dates, and picture taking become a lot easier when you aren't worrying about your teeth. Alaska Dental Arts North Pole believes everyone deserves a great smile and takes pride in their incredible work restoring morale for patients throughout the area. 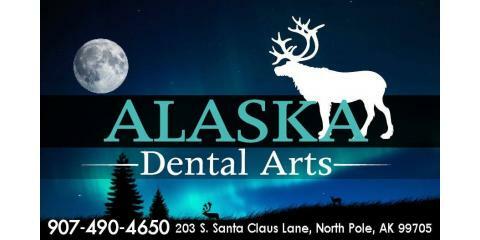 Alaska Dental Arts North Pole is currently taking new patients. To schedule an appointment with a cosmetic dentist, call (907) 490-4650 today, or visit them online to learn more about their dental services.